In order to retain people’s interest in our business districts, placemaking by retailers must be cognisant of our need to feel safe, comfortable and interested. Creating and showcasing depth in your shop expands the visual landscape for the visiting public. Whether we are buying or not today, you are showing off your whole district by visually stimulating the passer-by. You are giving light to a darkened street and adding volume to the visual buffet so people are attracted and retained. 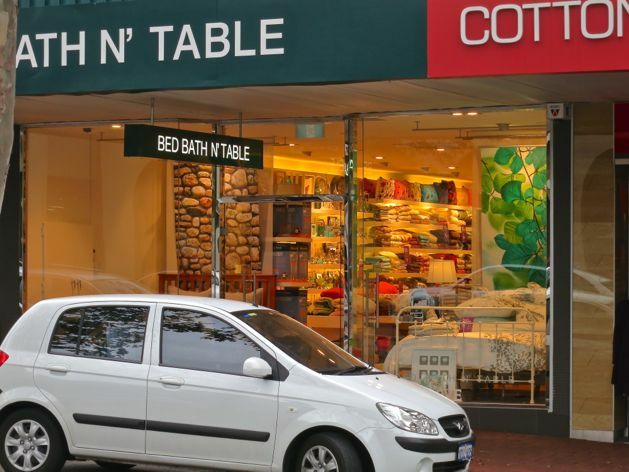 Above: Shopfront, visual merchandising and lighting choices by Bed Bath N’ Table, 165 Rokeby Road, Subiaco, Australia. 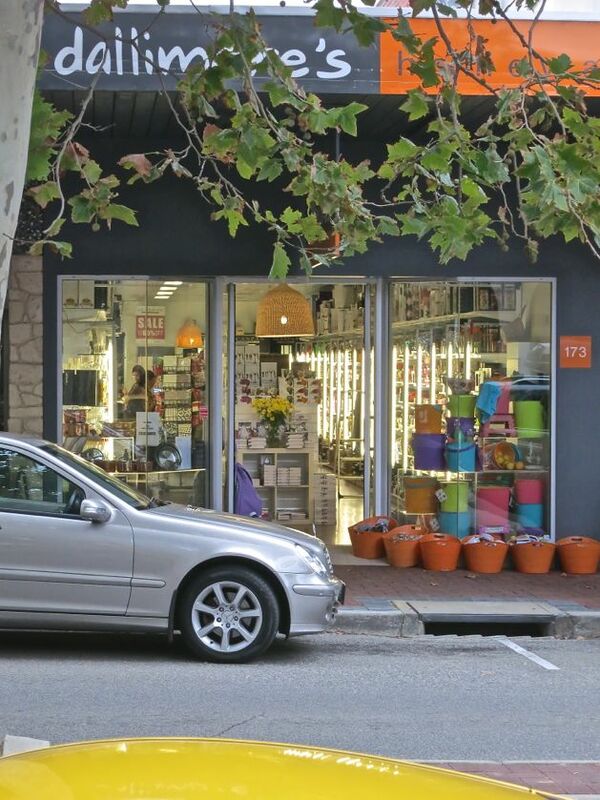 Below: The same by Dallimore’s, 173 Rokeby Road.